Silhouette is having a mega sale and to celebrate I am giving away a Silhouette Portrait! 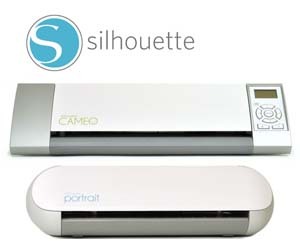 To enter to win the Silhouette Portrait cutting machine, you need to be subscriber of my blog. You can sign up over on the right side of this blog (if you are not there already). And leave a comment under this post, only one comment per person please. For additional chances to win, please help me spread the word about the giveaway. For each mention on your blog, Facebook post, or re-pin you receive an additional chance to win. Just leave an additional comment on this post that you did. You have until midnight MDT on Tuesday May 27th to enter and the winner will be announced on Wednesday May 28th. Please click here and type in the Promo Code BOUTIQUE when you order to receive the savings. Now for the sale details. You are not going to want to miss this sale! All Specialty Media 25% off! And I do mean all! I am working on a fun project to share with you, but in the meantime, I want you to enjoy one of my all-time favorite vellum projects from the Silhouette Blog. 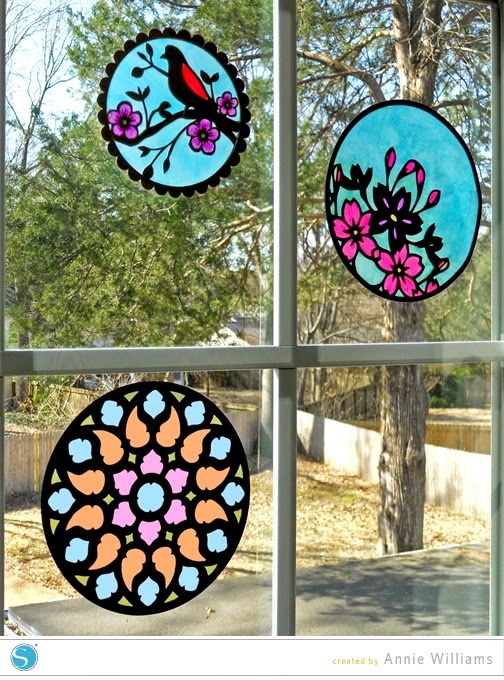 I love the idea of making suncatchers out of vellum. For complete details, click here. 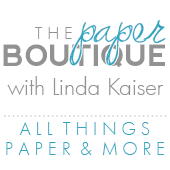 Remember: when ordering, type in Promo Code BOUTIQUE to receive the savings! Those vellum projects are so pretty. I am amazed at all the Silhouette can do! These are gorgeous, gr8t job with your projects! I've been following your blog for quite some time. Your ideas always amaze me and it's wonderful how you share all your tips and techniques. Would love to win a Silhouette..thanks for the chance. I subscribe and want to win! I am subscribed to your blog, great giveaway! Love to win...thanks for the chance! I need to win this! Thanks for another chance. Thanks for another chance to win. Love all the projects. Super amazing. Love your project and would love to win. Thanks for the opportunity. Would love to win this contest! Thanks for the opportunity. Those vellum suncatchers look amazing! I just went to get more details - so thanks for the link! Wow! I've just started looking at the Silhouette. What a great opportunity to win! Thanks. Very clever to make your own sun catchers and so pretty, too. Would love to win the Silhouette bundle. Looks amazing! One of my favorite giveaways! Hope I win! Follower of your blog. Thanks for the chance to win another great prize. Love all your projects. Yay! Thanks for the chance to win and thank you for all your cute ideas!! What a great idea for sun catchers! Thanks for the chance to win! Love the suncatchers, vellum is such a fun and versitle medium to work with. Thank you for giving us a chance to win this great prize. Awesome giveaway! Thanks for a chance to win! I am already a follower of your blog. I am always happy to see you in my e-mail. I like your projects and the links to other blogs. Hope I win. I subscribe to your blog and "Liked" you on Facebook. Love all the silhouette projects you share with us. I subscribe to your blog and look at it everyday. Thank you for a chance to win. Thanks for the chance to win!!! Love your blog! I happen to own a Portrait already but would love to give one to my cousin who's just as creative as I am! They can really cut just about anything, I found that out first hand while trying to find a good stencil material for spray painted shirts, mine has already paid for itself twice over. Love the eye candy you send via email. Thanks for keeping us inspired! Beautiful suncatchers, and thanks for another chance to win one of these machines. I'm a subscriber. Thanks for the chance to win! Those vellum sun catchers are so pretty! Thanks for a chance to win! Already a subscriber to your blog. Cannot wait to see your fun project. I've been a Cricut user for years, but my loyalty has been tested as 3 of my 4 machines (all under 5 years old!) are no longer working!! Boo~Hiss! I have been doing my research and find that the Silhouette machines are user favorites when I read all the reviews on personal cutting machines! I'm READY to give it a try!!! I have my fingers, toes and eyes crossed that I'll win this machine so that I can see for myself how great it is! Thanks for the opportunity to enter this contest, Linda! YAY! Those projects are great! Thanks for sharing! Love your projects. Would love to win thanks for the chance. Thanks for the chance to win. I'm a follower of your blog and love all that you do. Thanks again. Thank you for another great giveaway. I am a follower of you blog already! I pinned your giveaway! I just posted on Face Book. Thanks! Linda, you always have such fun and pretty projects. I enjoy the things you make. Thanks for the chance to win a machine! Fingers crossed. Beautiful vellum suncatchers. I need to try that! I bet my grandchildren would love making them, too. Thanks so much for the opportunity to win this fabulous giveaway! Yay a giveaway! I follow via rss feed! Beautiful and vibrant projects. I am a long time follower of your blog and thank you for the chance to win a fabulous machine. The vellum project is amazing! I didn't even know the machine could do that! I love your blog an have been following for a while! Thanks for the chance to win! I love those "stained glass" windows circles! So cute. I follow your blog by email. I look forward to receiving your e-mails. Thanks for the chance to win. I am a longtime subscriber of your blog. I love seeing your projects. Awesome sun catchers. Thanks for another chance to win. I subscribe to your blog and LOVE IT! Thank you for a great blog and a fabulous giveaway. You cannot begin to imagine just how long I have wanted on of these! Thank you so very very much for the great giveaway. I subscribe and thank you for a chance to win! So many possibilities with this machine - it would be great to own one! I follow your blog by email - kaysuet(at)hotmail(dot)com. Here ya go - I blogged! Forgot to leave my email addy before. I'm such a dork. Any-hoo, here it is this time around. A new Silhouette would be a dream! You do such wonderful things with yours. This would be great to win ! I love following your blog. You always have such great projects ! Love the sun catchers ! Beautiful sun catchers!Tthanks for the chance to win. aM ALREADY A FOLLOWER. tHANKS FOR THIS GREAT CHANCE TO WIN. I love your sun catchers! Thanks for an opportunity to win a new silhouette! Yay this is a fab giveaway! Thank you. Wow! Would I love to win this. I enjoy your blog so much. Thanks for the opportunity to win the portrait. Would love to win it! I am an email subscriber (angevege at gmail dot com) and follow you via GFC. I am a subscriber to your blog and love checking it daily. You have so many wonderful projects to share with us. The Silhouette seems to be a wonder machine and a wonderful tool for any craft room. I do not have one, but would certainly like to have one. Thanks for the chance to win. Would be fantastic to win this! Thanks, Linda, for the chance to win a Portrait. And I love your blog. So many ideas. The suncatchers are super awesome! Thanks for sharing them. I just found your blog and love it already. I would love to win the silhouette! What a wonderful opportunity, thank you for the chance to win. I shared on Facebook and pinned as well. I shared on FB, I can see so many projects I want to do with the Silhouette!! I subscribe to your blog and by email. I would love to have a silhouette cameo. Follower of your blog! Thanks for the chance to win another great prize!! Love all your projects!!! Follower of your blog! Thanks for the chance to win another great prize! Love all your projects!! I'm already subscribed to your blog too! Thank you for this opportunity! Those suncatchers are so awesome! My daughters would get a kick out of it! I am loving my Silhouette Cameo that I just purchased and would love to have a Portrait to take with me on the go! Thank you for the opportunity! Just saw your video on making stencils with the Silhouette and would love to have one! I'm a subscriber and would love to win. Thanks for giving us a chance. Thanks for having the giveaway and for sharing your work. You do amazing projects. Thanks for sharing and offering us a chance to win this giveaway. I look forward to updates from your blog. Thanks for the great giveaway. I've been getting your posts by email for a while now and I love all the great ideas. Wow. Would live yo win. Thanks for the opportunity. I love all your projects I watch all your videos on youtube! I love receiving your newsletters. Thanks for this awesome giveaway ! I love what you did with the vellum! You are amazing and so is this machine. Thanks. I follow via email shortreba at gmail dot com. I can't wait to see what you come up with for the vellum. Love the vellum projects and the gorgeous box cards, sooo cute. I've never seen a box card before, such a cute idea. Would love to win the silhouette so I could make one. I would love to win!!! It makes so many awesome projects. I have been following you and need to win one so I can make some of your crafts. Love your box cards. Have been looking at these files for a while and think it is now a "must" that I make the purchase. Love the camping card. The vellum projects are pretty. It would be awesome to win the Silhouette. Great prize. I hope the new kitten is doing well. Thanks for the chance to win. wow they are beautiful. love what you do with Silhouette. I don't know if I commented already! Followed via email, shared on pinterest, and my facebook page. Would love this machine! So beautiful, love the vellum. Your projects are always amazing! I love the vellum suncatchers. So happy I discovered you videos. Happy crafting to all! Thanks for the chance to win! I love the window projects!